Investment is the action of developing funded with intention and expectation that they will earn a return for their owner. When resources are spent to purchase fixed and current assets for use in a production process or for trading process, then it can be termed as real investment. On the other hand purchase of a legal right to receive an income in the form of profit and dividend may be called as financial investment. Musharaka (equity participation on the basis of sharing profit and loss). Mudaraba (sharing of profit and loss in business where one of the partners provides expertise and management and other partner provides capital remaining inactive). Bai-Murabaha (buying and selling of commodities goods etc. with profit). Bai-Muajjal (credit sale with profit). Hire purchase or Shirkatul Melk. Bai-Salam (purchasing of agricultural products while in production and providing advance only to the producers). Bai-Istisna (purchasing of industrial products while in production and providing advance money to the producers). Ventures may be undertaken jointly when a person requiring funds does not have enough resources of his own thus involving others as a shareholder in the business. Partners enjoy similar business rights and have unlimited liability to their creditors. They share the profits of the business in the agreed proportion and bear losses, if any, in proportion to the capital supplied. This partnership relationship in Islamic low is termed as Musharaka. In this case, the bank participates in the equity of a company and receives an annual share of the profit on a per rate basis. The period of termination of the contract is not specified. These financing techniques also referred to as continued Musharaka. It is condition that the capital of the company is specific, existent and under the disposal. It is in valid to establish a company on non-existent fund or debt, for the proposed of profit. It is a condition that the capital of the company is money and valuables. Some of the jurists permit participating with merchandise on condition. It is evaluated in the contract and the value of agreed upon become the capital of the company. It is condition that each partner must be known to avoid uncertainty and it must be a prorate ratio to all partners and must not be a lump sum, because it contravene the requirement of partnership. It is not a condition that partners have equal shares in capital through variation in shares is permissible. It is subject to agreement. Diminishing Musharaka is a special form of Musharaka, which ultimately culminates in the ownership of the assertor the project by the client. It appears in the following manner. The bank participates as a financial partner, in full or in part, in a project with a given income forecast. The partner and the bank through which the bank receives a share of profit as a partner sign an agreement. The partner is entitled to keep the rest in this way, the banks share of the equity is progressively reduced and the partner eventually becomes full owner. It is a condition that the bank must completely own its share in the partnership and must have its complete right in management and disposal. In case, the bank authorizes its partner to perform the work, the bank shall have right of supervision and follow up. It is permissible for the bank to offer a promise to sell its shares in the company to the partner, if the partner pays the value of the shares. The sales must be concluded as a separate deal with no connection to the contract of the company. The nature of financing Musharaka is investment based. The capital provider has full control in the management of fund. He must also bear the risk up to the full extent of the capital as well as of the opportunity cost of capital for the whole period of the contract. The rate of return is completing uncertain in this mode. The cost of capital is also uncertain and exist perfect correlation between the relationship of cost of capital and rate of return like Musharaka. This is a business contract under which the entrepreneur obtains finance from a financier on the condition that will be conducted the business alone without taking any help from the financier. This prescribes that under such an arrangement. The entrepreneur of the manager will share in the profit of the business as agreed in the contract. If there any loss, entire losses are to be borne by the financier and the manager will go simply unrewarded, under Islamic low this business practice is known as Mudaraba or profit sharing. The bank provides the capital as a capital owner. The Mudaraba provides the effort and expertise for the investment of capital in exchange of a share in profit agreed upon. The two parities calculate earning and divide the profits at the end of the Mudaraba; this can be done periodically in accordance with the agreement along with observance to legal rules. The banks recover the Mudaraba capital it contributes before dividing the profits between the two parities because the profit is protection of capital. In case of agreement to distribute profits periodically before the final settlement it must be on account until the security of capital is assured. In case of loss, the capital owner (the bank) bears the loss. In the event of profits, they are divided between the two parties in accordance with the agreement between them with observance to the principal “profits is the protection of capital”. It is a condition in Mudaraba that capital must not be liability debt on the mudarib, because the mudarib is a trustee and in respect to the debt, it is a guarantor who can only be absolved after payment. It is a condition in Mudaraba that capital must be specific or its return to owner, so its amount must be known at the contract and because the uncertainty about the amount of capital necessarily leads to uncertainty about the amount of profit, which represent an increment to capital. It is a condition that profit should be specific because it is the subject of the contract and being unknown abrogates the contract. The contracting parties should stipulate in the contract the profit shares (in percentage) for each one. It is an investment based on mode of financing. The provider of the capital in Mudaraba has no role in the management of the fund. But he has to bear the risk to full extent of the capital as well as of the opportunity cost of capital for the entire period of the contract. 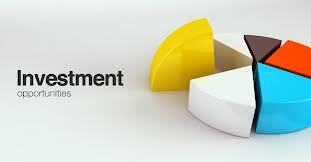 The rate of return is quite uncertain and the cost of capital is also uncertain. Hence, there is a perfect correlation between cost of capital and rate of return on capital. The term Bai-Murabaha has been derived from Arabic words Bai and Ribhum. The word Bai means purchase and sale and Ribhum means agreed upon profit. Bai-Murabaha means sale on agreed upon profit. Bai-Murabaha may be defined as a contract between buyer and seller under which the seller sells certain specific goods permissible under Islamic Shariah and the low of the land to the buyer at a cost plus agreed profit payable in cash or on any fixed future date in lump-sum or by installments. The profit marked up may be fixed in lump-sum or in percentage of the cost price of the goods. It is permissible for the capital owner to deliver its capital to two in a single contract because its contract with them is a contract with each. It is a permissible for the capital owner to validate between them in profit shares because of their difference in diligence and dexterity. No security on the mudarib shall be stated in the Mudaraba contract except in case of the negligence or trespass, because the mudarib is a trustee on what is in its hold, capital is judged as a deposit. Profit in the Mudaraba is distributed according to the agreement of the two contracting parties. If the mudarib violates restrictions or contravenes the beneficial condition, it becomes a usurper and guarantees capital to the capital owners. Shahjalal Islami Bank Limited operates its investment activities mainly through three mechanisms i.e. Bai-Mechanism, Share-Mechanism, Ijara-Mechanism. The term Bai-Muajjal has been derived from Arabic word Bai and Ajal. The word Bai means purchase and sale and the word Ajal means a fixed time and a fixed period. Bai-Muajjal means sale for which payment is made at a future fixed date or within a fixed period. In short, it is a sale on credit or on deferred payment. Bai-Muajjal is a contract between the bank and the client (buyer & seller) under which the bank sells to the client certain specified goods. Client may offer an order to purchase by the bank any specified goods and committing himself to buy the same from the bank of Bai-Muajjal mode. The bank after purchase of goods must bear the risk of goods until those are actually delivered to the client and at specified place of delivery as per contract. Mortgage/ Guarantee/ Cash security may be obtain before at the time of signing the agreement. The bank may sell the goods at one agreed price which will include both the cost price and the profit. Cash/ Collateral security should be obtained to guarantee the implementation of the promise and or to indemnify the damages. Hire purchase or Shirkatul Melk is a synthesis of the three contracts i.e. Shirkat, Ijarah and Sales. Shirkat means partnership. Shirkatual melk means share in ownership. When two or more person supply equity, purchase an asset and own the same jointly and share the benefit as per agreement and loss in proportion to their respective equity, the contract is called Shirkatul Melk. It is a contract between two parties, one is Lessor and another is Lessee to acquire to a rentable asset by the lessor and for taking the service of the asset by the lessee against rent and payable the value of the asset to the lessor at a time for getting the ownership of the asset. Sale or transfer of ownership to the other partner. Hire purchase under Shirkatul Melk through gradual transfer of legal title ownership of the Leased asset / property. Hire purchase under Shirkatul Melk through transfer of legal title by gifts. Procurement of machinery / equipments. Disbursement against machinery / whole project. There can be a contractual agreement between the businessman and financier that the former will arrange a deferred supply of the goods to be produced, imported or produced by him, at a concession rate, on the condition of an advance payment by the letter. This is a business arrangement, which as per Islamic low, is termed as Bai-Salam. It is a condition that the commodity can be monitored by specification to the maximum possible degree, only negligible variation is tolerated. It is a condition that the commodity should be known. Ignorance about the commodity leads to dispute, which invalidates the contracts. It is permissible to draw a Salam sale contract on one whole thing but to be possessed at different times in specific parts. Salam is impermissible on land lots and real estate. Salam is permissible on a commodity of a specific locality if it is assured that it is almost always available in that locality and it’s rarely becomes unavailable. When a manufacturer, an artisan or a craftsman takes orders with or without advance payment for manufacturing the articles himself or through hired the laborers the arrangement is known as Istisna. It is a condition in the Istisna contract to state in the clearest of terms, the type of dimensions and all the specification required, because it is a condition in all communicative contracts that the sold commodity must be known to avoid ignorance which leads to dispute. Istisna contract is valid for objects that can be made. It is invalid for corn, wheat, barely or fruit and all natural products whose sale on liability is a Salam and not Istisna. The market should supply the materials. If they are supplied by the buyer, the contract is Ijara not Istisna. Once the contract is drawn the ownership of the asset is affirmed to the buyer and ownership of the price is affirmed to the market. Quard-Al-Hasana is a contract under which one of the parties (the lender) puts under the ownership of other party (borrower) a definite amount of his property, so that the borrower may pass on to the lender like of it, or in case of inability, the price of the same. Quard-Al-Hasana operations are concentrated in the Head Office of each bank and branch offices are not permitted to extend these loans which are granted on compassionate grounds. However, each loan is repayable if and when the borrower is able to pay. No service charge is imposed on Quard-Al-Hasana loans. Same products, entrepreneurs and farmers who are not able to secure financing for investment or working capital from other alternative sources. It should be noted that Iranian Banks are permitted to charge a minimum service fee to cover the cost of administering these funds. (a) Guarantee taken by a bank as security against its investment. (b) Guarantee required by a client from bank in the course of their normal trading. In the ordinary course of business, client may request a banker to support a trading transaction by giving a guarantee to a third party. As a service to the clients, bankers issue various types guarantees and indemnities. By this, the bank undertakes a contingent liability on behalf of its clients. The clients of whose behalf the guarantee will be executed must be a man of good character and integrity and he must be creditworthy. An up to date credit report on client should be obtained. The guarantee should relate to the normal business of the client. Clause of guarantee must be precise and clean. The guarantee must be a certain fixed amount and the period of its validity must be limited and fixed. Bid bond / Guarantee for earnest money or security deposit. Guarantee on account of Foreign Correspondence. Primary Security may be either personal or impersonal security or both. Primary security is a cover for an advance. Collateral Security is a security belonging to and deposited by borrower himself or by a third party to secure loans and advances. Additional security is taken for advance. Pledge means bailment or delivery of goods or documents of title to goods by the borrower to the creditor with the intension of creating a charge thereon as security for the debt. It is an equitable charge in lenders favor over goods where neither ownership nor possession is passed to the creditor. Mortgage is a transfer by the borrower to the lender of the former interest in specific immovable property as security for the payment of a debt. The borrower is known as the mortgagor and lender as the mortgage. It means a transfer by one person of a debt, right or property to another person. An assignment may be legal or equitable. Lien is the right of one person to retain the goods or securities belonging to another person until a debt due from the latter are paid to the former. Set-off is a right which in the absence of any agreement to the contrary, enables a creditor to adjust wholly or partially a debt balance in the debtors account with any evident balance laying in his (debtor) favor. Broad of Management Committee of the Bank should set out policy statement in at list for the following and an annual review should be done taking into consideration of changes in the balance sheet and market dynamics. The LD ratio should be 80%-85%. However, the Loan Deposit ratio of the Bank should go up to 110%. The Loan Deposit Ratio = (Deposit + Capital + funded reserve). The ratio will be fixed based on the banks capital, banks reputation in the market and overall depth in the money market. The guideline should be set in absolute amount depending on Banks borrowing capacity, historic market liquidity. The limit should be capped at the banks highest level of past borrowing. However, this limit can be increased based on the match fund basis. The commitment guideline limits should not exceed 200% of the unused wholesale borrowing capacity of the last twelve months. This can be increased if there are natural limitations on customer direction to draw against committed liens or a banks access to additional via realization of surplus statutory holdings. The MTF Ratio of a Bank should not less than 30%. The Ideal Scenario of current market, it will be suitable to move towards the MTF Ratio limit of 40% as we progress. MCO up to one month bucket should not exceed 20% of the balance sheet. A liquidity contingency plan needs to be approved by the board. A contingency plan need to be prepared keeping in the mind that enough liquidity is available to meet the fund requirement in liquidity crisis situation. An annual review of the contingency planning should be made. To encourage invest on Financial & Commercial sector. To create an interest Free Banking System by the term of Khatwary Investment. Give attention and importance of that sector which are preferred by Central Bank and Government. The main important factor of SJIBL is to avoid invest on those sector which are discouraged by Government. To invest those sectors this preferred by nationally. To follow the privatization policy of Government. To maintain the rules and regulation of Bangladesh Bank. The SME Sector has been declared by the Government as a priority sector. In our country, Small and Medium Enterprises (SMEs) play the pivotal role for employment generation, poverty alleviation and overall economic growth of the country. It has been observed that fund is the major constraint of this sector. Therefore, we need to inject more funds into this sector in a much planned manner to boost-up this sector for the sake of overall economic development of the country. Our country is labour abundant and SMEs are typically labour intensive. So, the sector deserves more investment facility for smooth functioning of the existing enterprises and expansion of the same with a view to retain the workforce active as well as creating more employment opportunities. Further, investment in SMEs can be very effective in reducing poverty as well as ensuring long term economic growth. Shahjalal Islami Bank Limited (SJIBL) is a modern commercial bank governed by the principles of Islamic Shariah, which is committed to implement and materialize the economic and financial principles of Islam in the banking sector. It has undertaken initiatives for investment in SME sector by introducing a number of SME products in the market gradually with a view to patronizing the trade, commerce and industrial entities with equity & justice and to make effective contribution for creating employment opportunities, which will ultimately help the nation for poverty alleviation from the society. From the practical implementation of customer dealing producers during the whole period of my practical orientation in Shahjalal Islami Bank Limited, I have reached a firm and concrete conclusion in a very confident way. I believe that my realization will be in harmony with most of the banking thinkers. It is quite evident that to build up an effective and efficient considered as soon as possible. Besides, every bank has to survive amidst of a large number of banks including local and foreign. That’s why to keep with expected profit margin of the time being and for the future every bank should try heart and soul to please the customers in a smart and trusty way. But quit regretful to mention that most of our bank face decreasing profit trend due to switch over of their present customers to those foreign with higher customer service facilities. How to Minimizing Risk in Business?